Michigan Poodle Rescue View other Poodles for adoption. 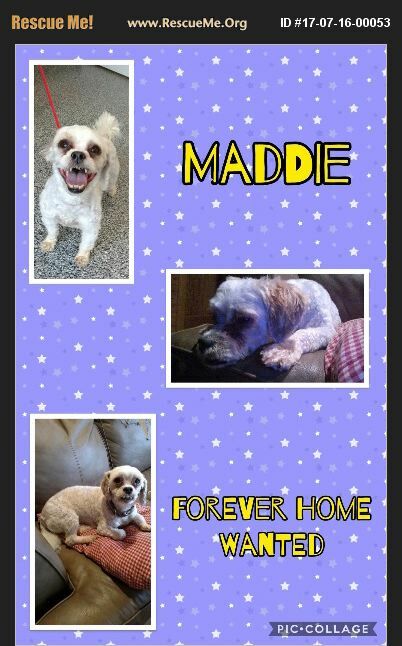 Maddie is a 6 year old Poodle/Shih Tzu/mix looking for her forever home. She's completely vetted, microchipped and spayed. She's housebroke and never needs to be crated even though she is crate trained. She just had a very large stone removed from her bladder so should now be kept on either royal canine urinary SO diet or hills c/d diet to prevent any stones from developing in the future. Maddie is a very well behaved and sweet girl. She's been great with the other dogs and loves everyone she meets. She has a cute little underbite which makes her so unique! Her adoption fee is $350 with an approved application (plus the fee towards mileage for any home visit/possible adoption). There is more information on the adoption application. If you have any further questions or would like the adoption application, please contact us!